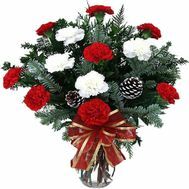 New Year and Christmas are the two most beloved and expected winter holidays. These are holidays in which many different miracles and changes take place. Many new hopes and wishes for the New Year are always associated with the New Year. And of course, the New Year is a holiday of gifts! 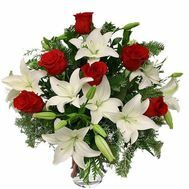 Especially the arrival of the New Year and Christmas is expected by children. 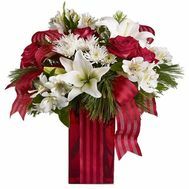 And as always, with the approach of the New Year, the question arises about New Year's gifts. What to give for the New Year this year? Where to find a gift? 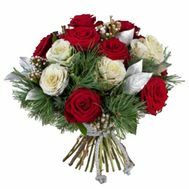 Especially for the New Year and Christmas in our flower shop, we traditionally open three new sections: New Year's bouquets of flowers, gift baskets and New Year's compositions from flowers. 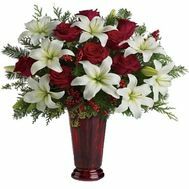 Now you are in the section of New Year's bouquets of flowers. 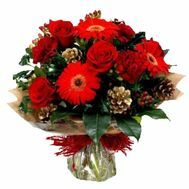 Here you can choose a New Year bouquet of flowers for every taste. 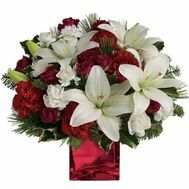 In the section are presented bouquets of the most diverse colors: roses, gerberas, lilies, chrysanthemums, orchids, carnations and other flowers. 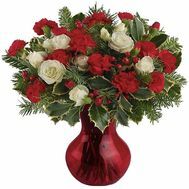 In bouquets used the most diverse New Year's attributes - New Year's toys, cones, branches of fir or pine and other New Year's decor. 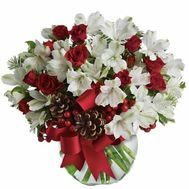 Sending any New Year bouquet for a gift, you can always add a greeting card with your greetings to the bouquet of flowers. 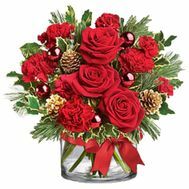 You just need to write to us when placing an order, which text should be written on the postcard and we will write it and hand the card along with the New Year's bouquet, which you have chosen for congratulation. 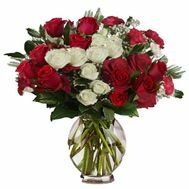 In addition to the bouquet you can add any other gift: champagne, soft toy, cake, sweets, etc. 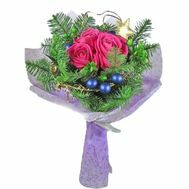 Christmas bouquets are an excellent opportunity to congratulate you on the New Year and Christmas. 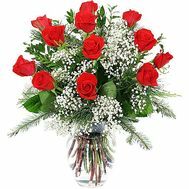 A bouquet can be a gift to both the boss at work, and your relatives or friends. 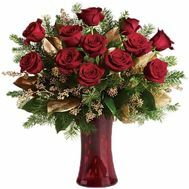 This is an original gift that you can give for the New Year absolutely always, and everyone, because it's always beautiful and original. 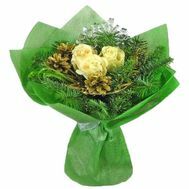 So quickly choose a New Year's bouquet that you like and make happy with such a gift for the New Year of your family and friends! 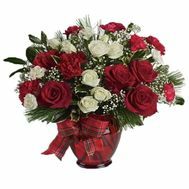 Order New Year's bouquets from us or make them yourself and give a piece of your warmth along with a bouquet of flowers. After all, during the winter, heat is especially necessary!